This ladder shelf will add stylish storage to the living space that creates an appealing display. 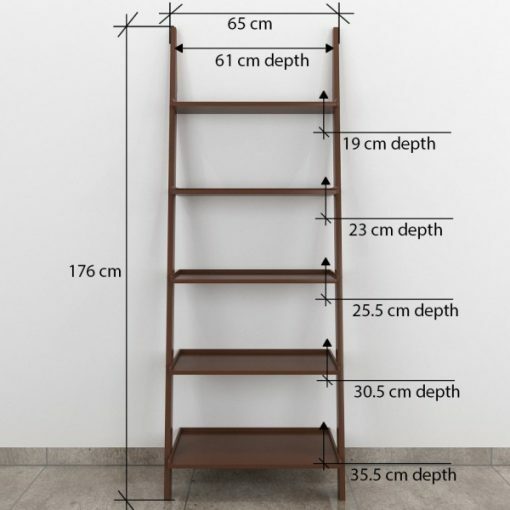 The five graduated shelves make it possible to maximize the floor space. 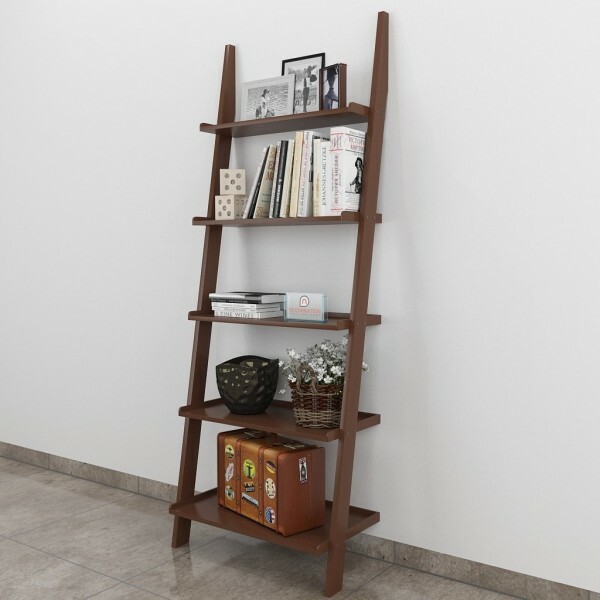 The 5-tier bookcase ladder shelf is ideal for storing CDs, books, collectibles, home decorations, pictures and more. The sleek design offers rooms with a fresh appearance with a simple yet well-designed style of the useful ladder shelves. 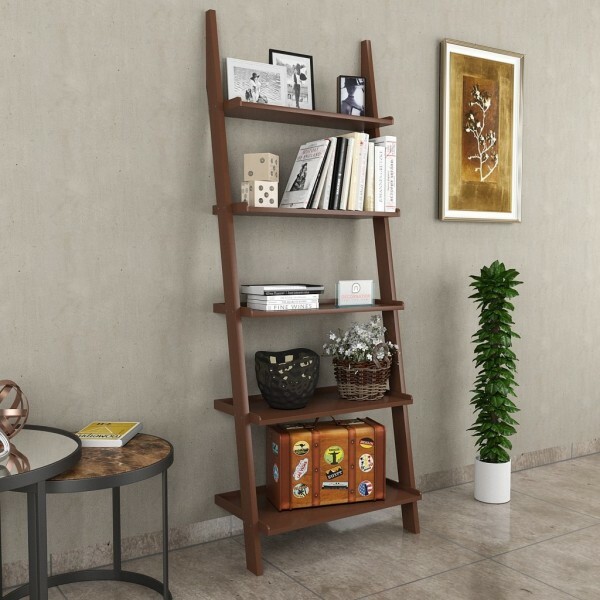 Keep any room in the house neat and arranged with the stunning functionality of this wall leaning shelf. 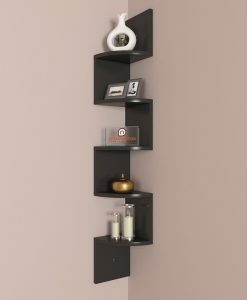 The narrowest shelf is at the top and the widest at the bottom and offers a modern, lightweight look. The solid wood constructions make it a quality piece. 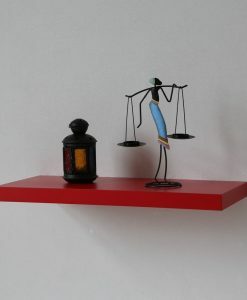 The assembly procedure is very easy and interesting to see the wall shelf coming together. 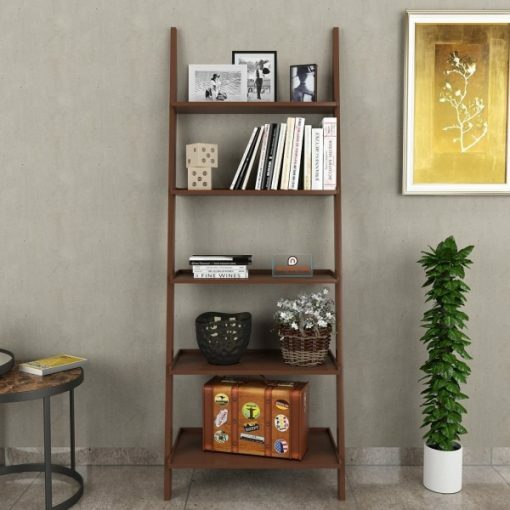 This wall shelf features elevated lip on the shelves to stop objects from slipping off sides or back.Its contemporary ladder design is an ideal addition to modern decor The paint finish offers this furniture a rich display, while the uncluttered design retains it from feeling weighty. 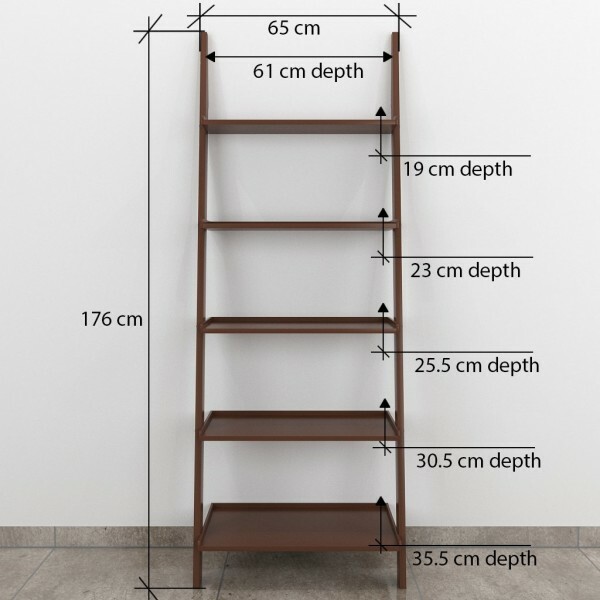 Size of the shelf 176 CM (H), 65 CM (W), 35.5 CM(D). 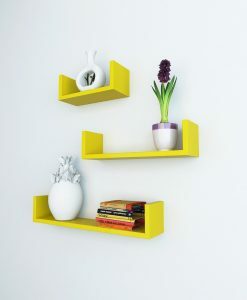 The arrangement of the shelves is ideal for displaying mementos and books for dazzling, personal d&eacute;cor. 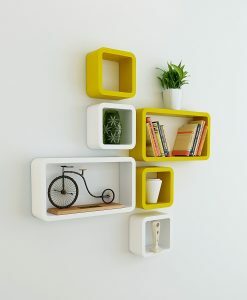 Moreover, the five-tier design is for optimal space. 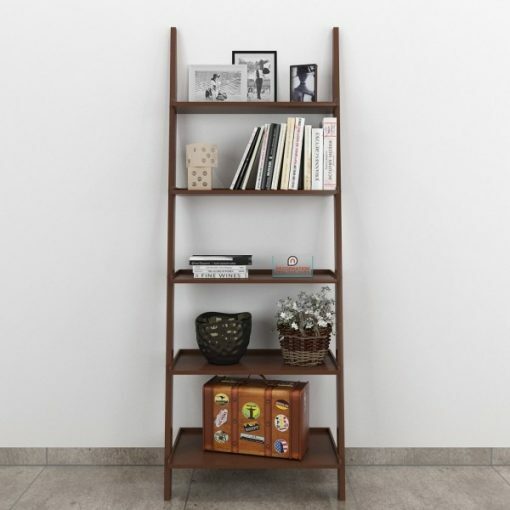 Ideal for adding storage space to a living room or home office for handsome and practicality styling. 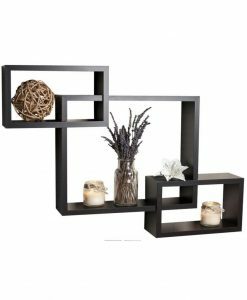 As a wall shelf has more support from the wall while toting a rustic-chic trace with its ladder design. 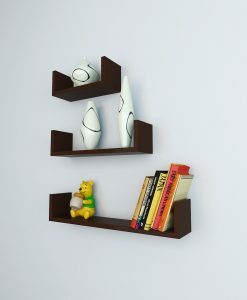 Manufactured by DecorNation one of the largest manufacturer of wall shelves in the country. 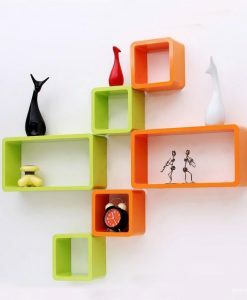 Similar to other wall shelves, different wall materials involve a different kind of fasteners. 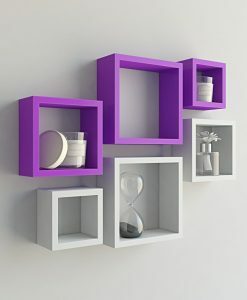 Thus, fasteners need to be appropriate for the walls in the living space. 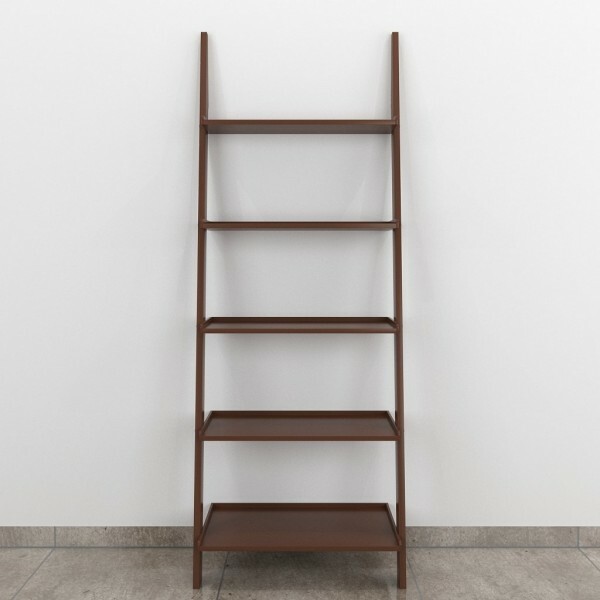 Finally, the care for this ladder shelf is simple since it requires cleaning with a damp cloth and drying with a clean cloth.